Ok, so its presumed you are going to migrate straight to the latest version, so let’s do a re-cap of the latest features. 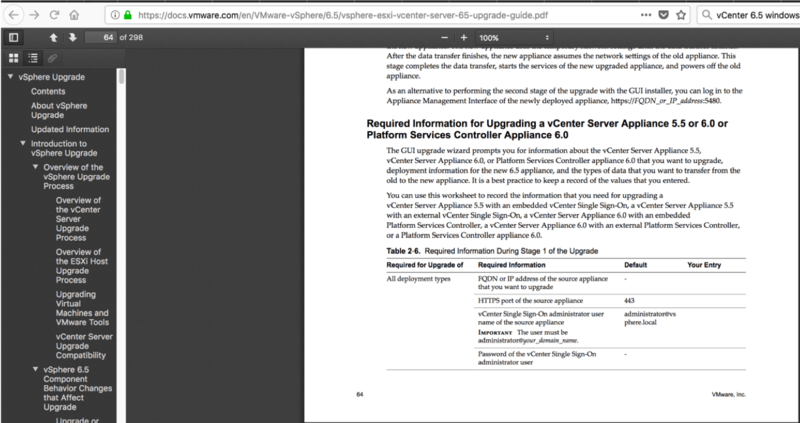 Or you can find the official VMware 6.5 Whats new PDF here. We still have two offerings in which to install vCenter. 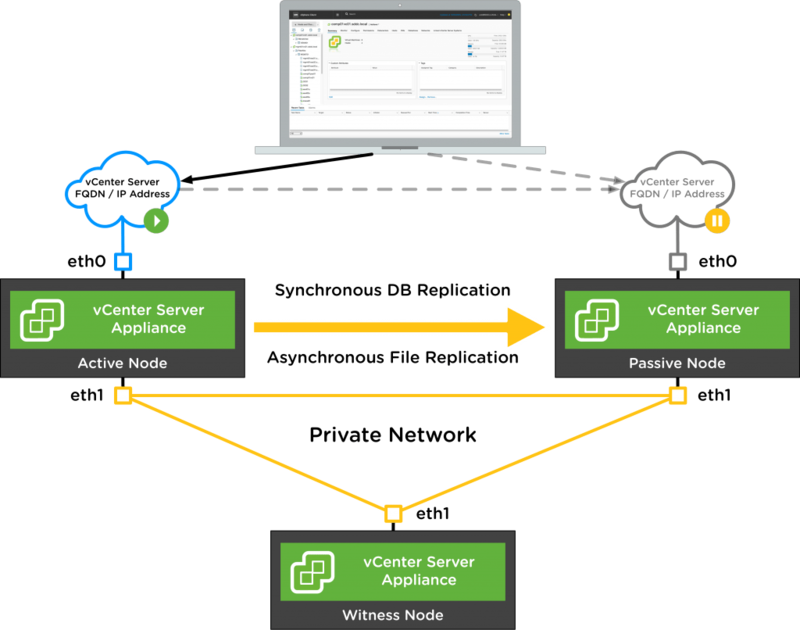 vCenter High Availability – When vCenter HA is enabled, a three-node vCenter Server cluster (Active, Passive, and Witness nodes) is deployed. Automatic unmap – no more scripts to reclaim space off your arrays. Description: This operation deletes the existing VMFS5 datastore to create a VMFS6 datastore. You should back up any files from the VMFS5 datastore to prevent any data loss. Example; Think of your payroll server, it idles for most of the month. Then last day of the month it runs at full resource utilization whilst it churns through the payment runs for employees. Finally, the big one, no more Windows vSphere client – its gone. OK, so lets just upgrade then? From the official document, here is the overview of the upgrade process. Read the vSphere release notes. Verify that you have backed up your configuration. Upgrade vCenter Server. 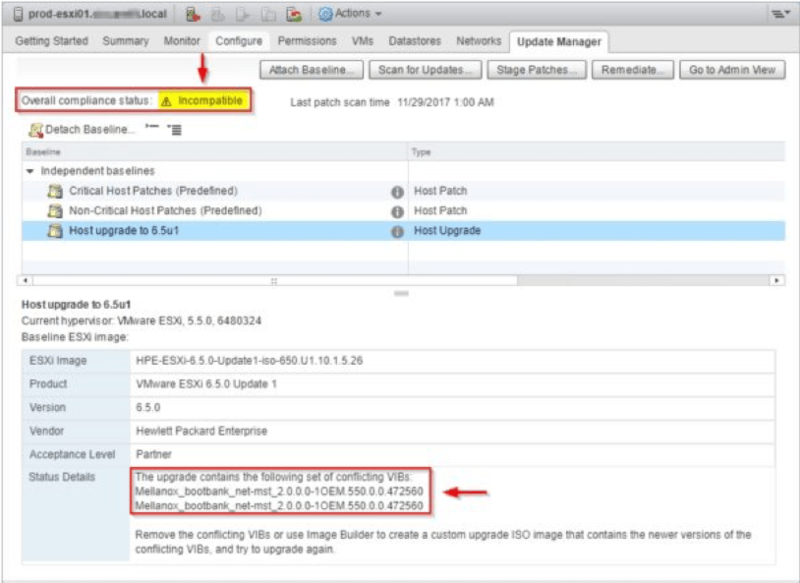 See Overview of the vCenter Server Upgrade Process. 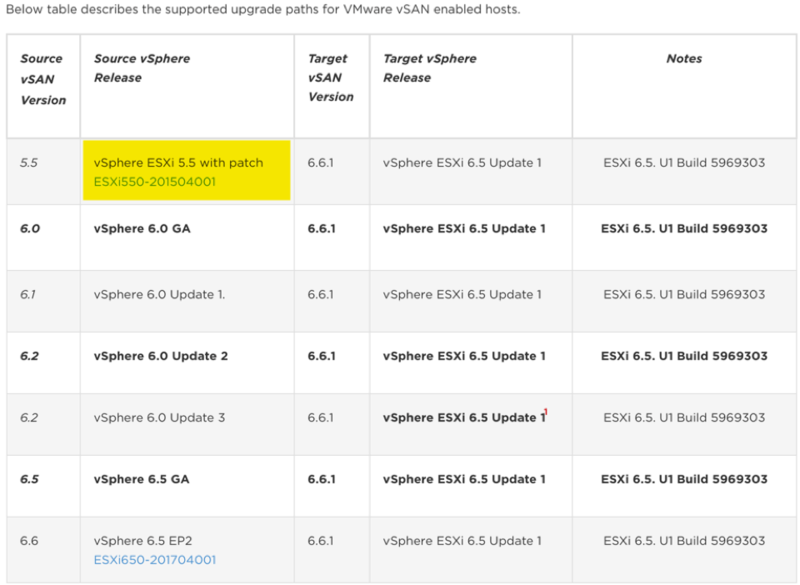 If you are using vSphere Update Manager, upgrade it. 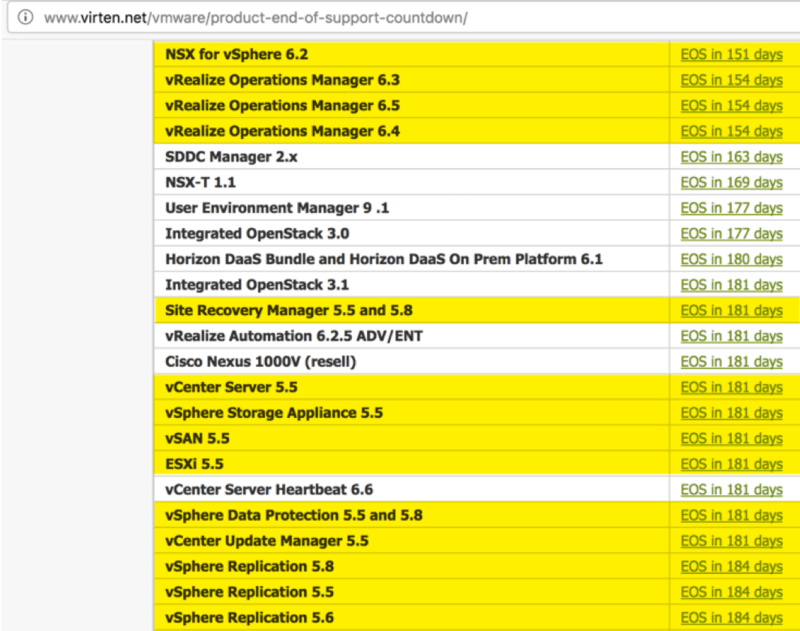 Refer to the VMware vSphere Update Manager documentation. Upgrade your ESXi hosts. 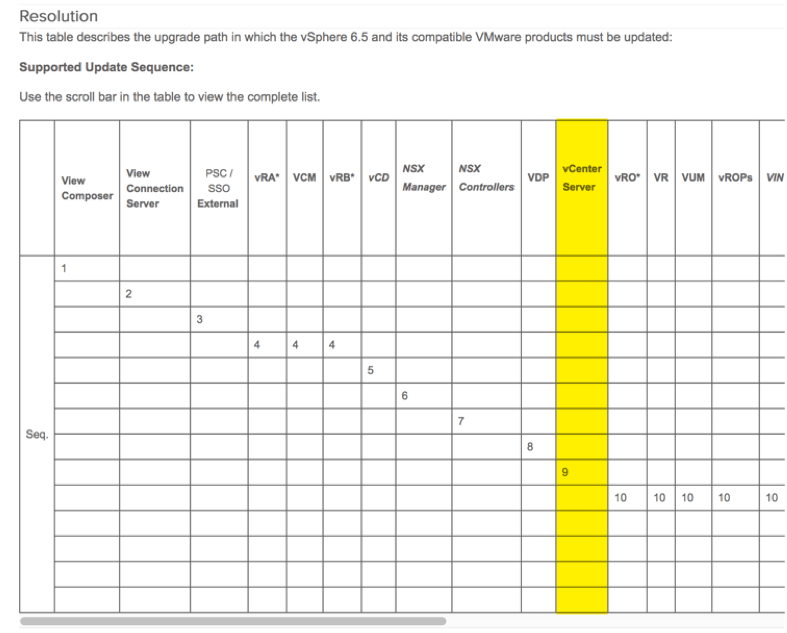 See Overview of the ESXi Host Upgrade Process. To ensure sufficient disk storage for log files, consider setting up a syslog server for remote logging. Setting up logging on a remote host is especially important for hosts with limited local storage. See Required Free Space for System Logging and Configure Syslog on ESXi Hosts. 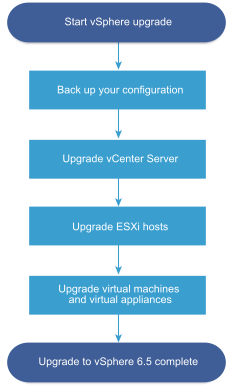 Upgrade your VMs and virtual appliances, manually or by using vSphere Update Manager, to perform an orchestrated upgrade. 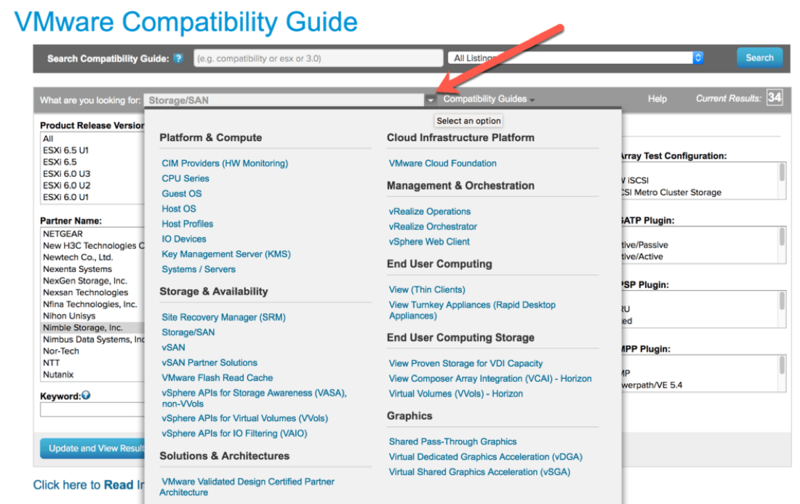 See Upgrading Virtual Machines and VMware Tools. All pretty simple and straight forward, abiet a lot of links? But this particular document only hints at some of the biggest challenges to come! 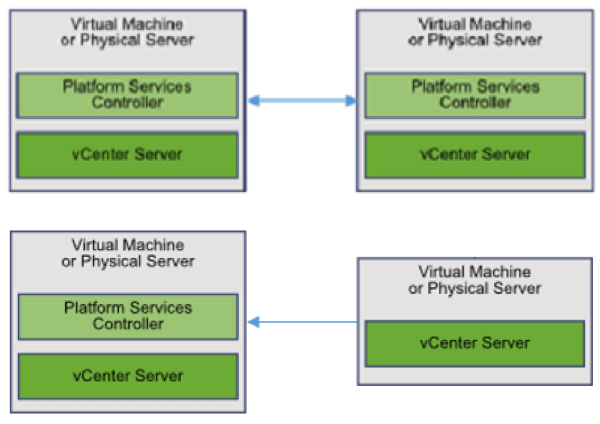 The plugins to vCenter, or connecting VMware Solutions, which will need upgrading before your core vSphere environment, or in parallel. It’s also interesting that at this point, VMware also specifically call out setting up additional logging in the environment as part of the upgrade process. Maybe the reports from GSS are they still don’t see a lot of customers with appropiate logging setup. If not, upgrade them first! 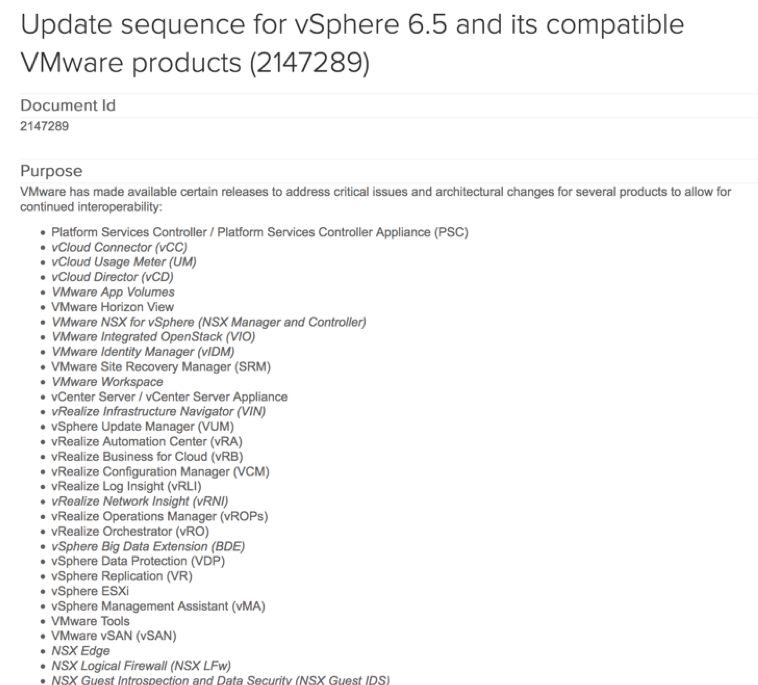 On this KB page, there is a list of the VMware Solutions which need to be considered during a vSphere 6.5 upgrade. 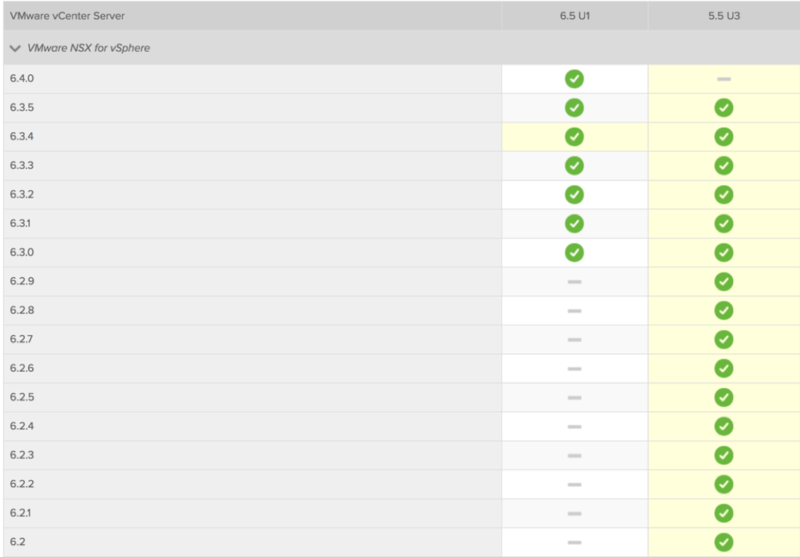 And on the same KB is the upgrade sequence, with a possible 8 products that need upgrading before vCenter! PSC deals with identity management for administrators and applications that interact with the vSphere platform. No longer the option to distribute vSphere components such as Web Client, Inventory Service, vCenter, to different servers. During the migration or upgrade process a mixed environment is supported. The first topology is a simple embedded install, with vCenter + PSC installed on the same Server. 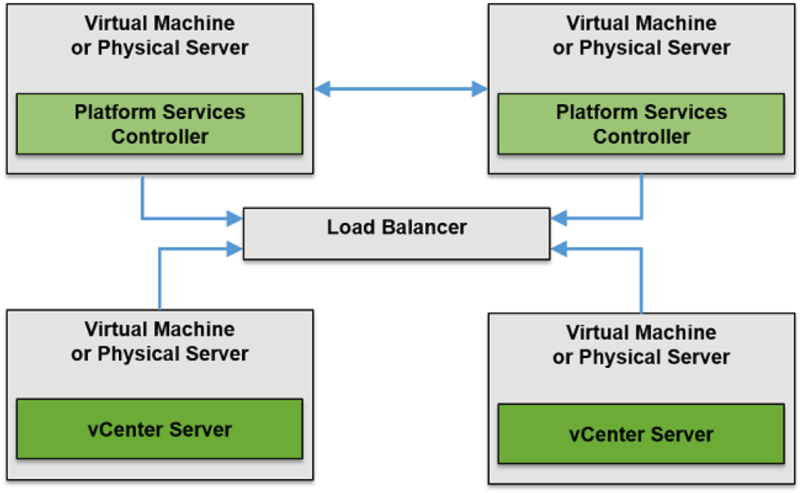 Second, is a external PSC deployment, allowing two vCenter servers to be connected. This will also enable the Enhanced Linked Mode. 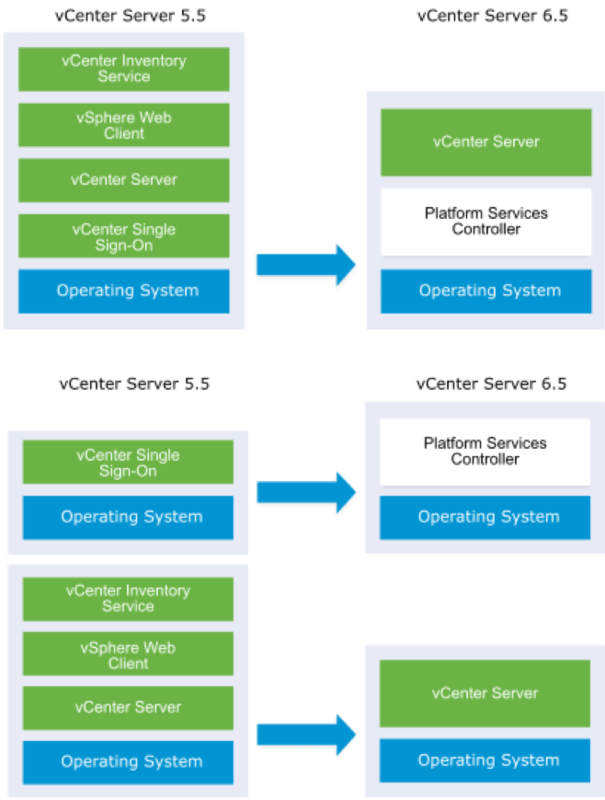 This diagram also demonstrates the mixed mode deployment, with both vCenter 5.5 and vCenter 6.5 connecting the PSC. Below we have a highly available PSC deployment, which requires a load balancer to be deployed. 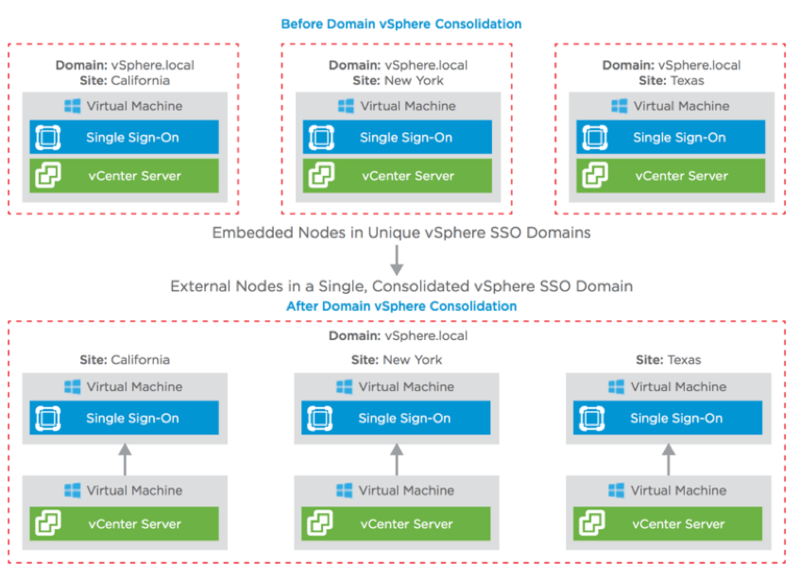 This allows the vCenter servers to connect to the load balanced domain name for HA purposes. The final diagram shows an example of the deprecated topologies, such as two connecting two embedded deployments together, or connecting a single vCenter server to an embedded deployment. Rule of thumb, if you have multple vCenters you need to be part of the same deployment, you need an External PSC. Be aware you can change the search options as per the below. Think; Trend Micro Deep Security, Veeam, ArcServe, Turbonomic, OpsVizor, vRealize, NSX, VSAN. New VMs/Appliances may be deployed during the upgrade, hence the need to have your networking details on hand. Any support tickets (internal or with external support) that are open and cover hardware/services which interact with your VMware platform, ensure they are resolved first before the upgrade. Ensure that you have a backup prior to starting the upgrade process, along with a recovery plan in case you need to revert back. 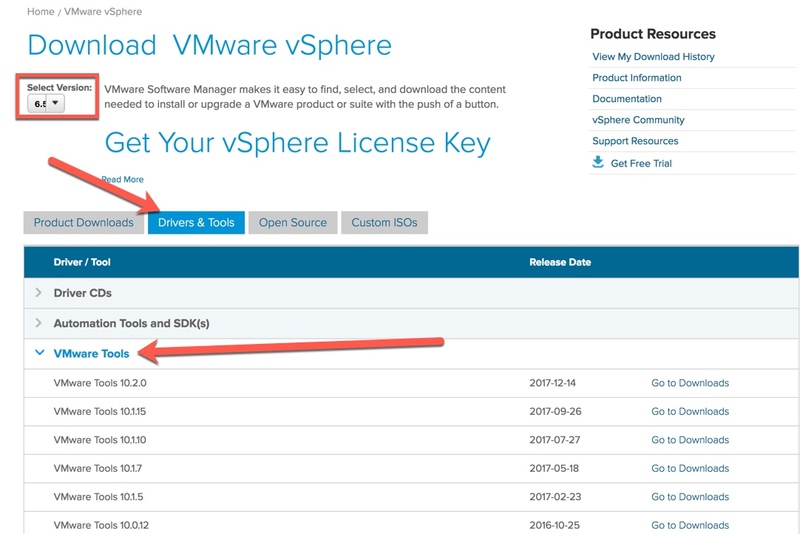 Open a support request with VMware Support prior to starting your upgrade process—it will expedite the process should any issues come up. Below is a screenshot of VMware confirming the details they would need for a proactive ticket in regards to upgrading NSX. Get familiar with the upgrade process – Check out independent blog posts to see screenshots of the process and such. vSphere Distributed Resource Scheduler (DRS) does not work while the upgrade is in progress. On the vCenter 6.5 ISO – Locate the cleanup_orphaned_data_MSSQL.sql script in the ISO image and copy it to the Microsoft SQL server. Microsoft SQL Server Express is not supported for vCenter Server 6.5. 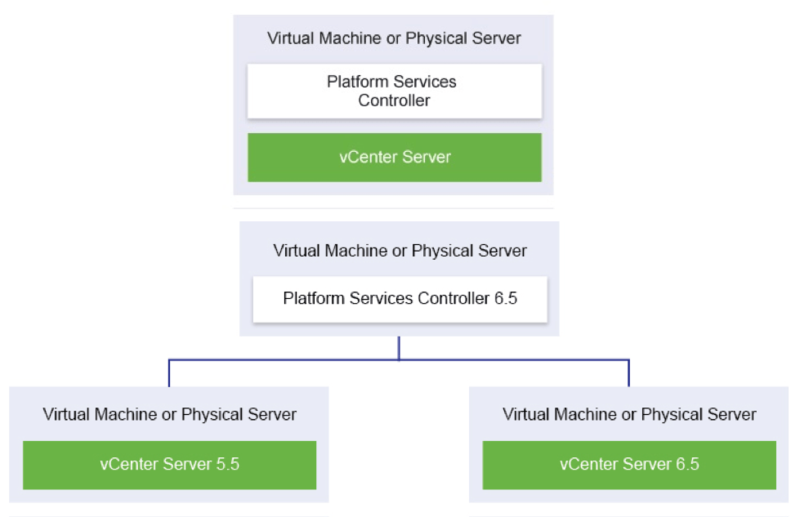 The vCenter Server 5.5 embedded Microsoft SQL Server Express database is replaced with an embedded PostgreSQL database during the upgrade to vCenter Server 6.5. Update manager is now built into the vCenter Appliance – if you have trouble migrating update manager, uninstall it from your windows machine and don’t migrate it. Below image shows the conflicting VIBs in the HPE Customized image.